The Wine Chiller is the result of a collaboration between Adelaide jeweller/designer Bronwen Riddiford and Robert Foster, and takes the ‘ice bucket’ to a new design dimension. The Chiller is made of two components. The outer body is cold-pressed anodized aluminium and the removable bottom is a thermal-moulded plastic puck filled with a cooling agent. The puck is put into the freezer and, when suitably chilled, inserted into the base of the outer body, locking firmly into place. The tapered body incorporates a generous opening capable of accepting the most boisterous magnum, while an integrated handle ensures the safe arrival of a delicate dessert wine. 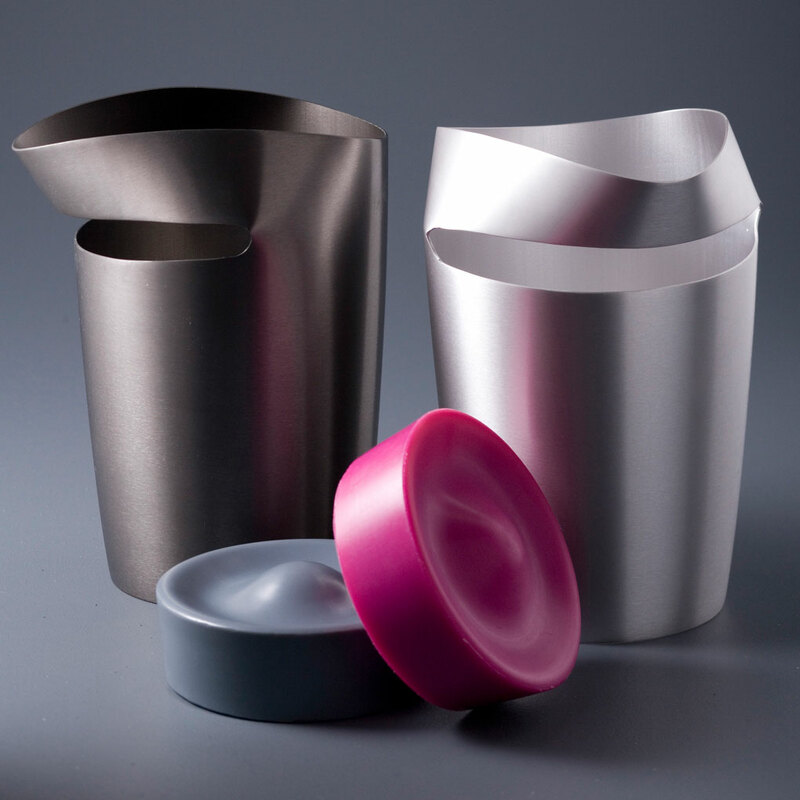 The Wine Chiller comes in cool grey or classic satin aluminium, while the freezable pucks are available in a range of brilliant colours interchangeable to suit any occasion.